Sleep, Nutrition, Movement (Exercise) and Mindset. If one of these areas is out of balance, the structural stability of Health is out of balance. My goal is to identify what serves your specific constitution and help you easefully integrate this information into your lifestyle so you can maintain a state of wellness long after you leave my office. If we can locate 1 or 2 key areas where there is desire and excitement to try out a new habit, the upward spiral of health begins and the authentic desire to gently and lovingly alter lifestyle habits gains momentum. As a result, the shaming “shoulds” are left far behind. Let’s use an example… When I am supporting a patient with challenges concerning her menstural cycle such as cramps, mood swings, fibroids, irregular cycles, or infertility, I will explore imbalances within the reproductive system. I will also explore the adrenals and thyroid, as imbalances in these glands may be the underlying cause of the reproductive symptoms. During our consultation I might discover that she is not sleeping well, and wakes in the middle of the night with anxiety and worry. In the morning she does not feel rested and relies on caffeine to boost her energy. This cycle points to adrenal dysregulation. Without addressing these symptoms it will be difficult to maintain an easeful menstrual cycle. 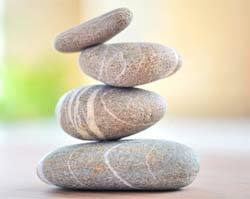 With the acupuncture and sound therapy I am able to gently facilitate the easeful flow of life force or qi. I access “energy kinks” or blockages in the meridians. By gently “unkinking” the energy the body is able to restore wellness. Picture a garden hose that is crimped: when we untangle the hose the water flows and the blockage is resolved. The patient’s time on my table is restorative, restful and deeply healing. I will typically suggest 1 lifestyle recommendation and 1 key nutritional supplement, superfood or herbal formula to support the areas of sleep, nutrition, movement and mindset. 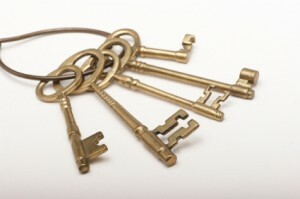 My goal is to find the “keys” that you will be able to successfully integrate. For instance, if I suggest to the patient in the example above that she eliminate her morning cup of coffee, which will help diminish the PMS symptoms and allow her adrenals to begin to recover, but we have not addressed the morning fatigue, chances are she will be unsuccessful at eliminating coffee. By starting on the right supplement, super food or herbal formula that addresses her insomnia and balances her energy she is much more likely to skip the morning coffee or replace it with tea. Once the upward spiral to healing begins it becomes easier and easier to integrate healthy habits. I invite you to contact me if you would like assistance finding your “Keys to Vitality”. Explore how you can leverage the positive habits that are working for you, and release the habits that are not.